When you arrive at Great Comp and start walking around the seven acres of gardens, you'd be forgiven for thinking you've stumbled across an ancient site where the owner has made the most of the available landscape around crumbling Gothic ruins to create an unusual garden filled with interesting and rare plants. 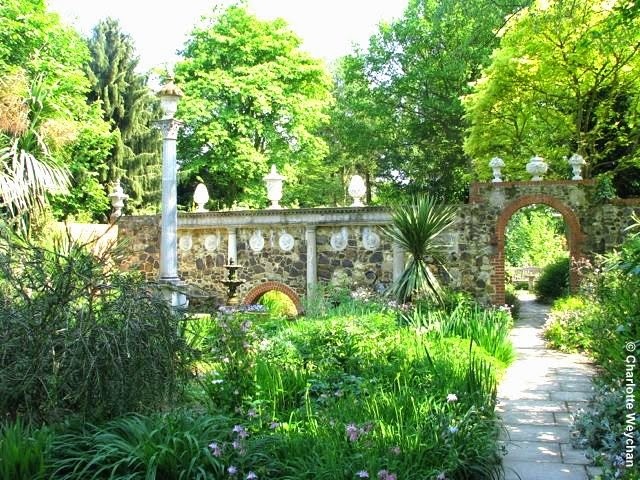 But the "ruins" were actually created over the years by late owner, Roderick Cameron and his wife and are a clever reconstruction of ironstone rubble found in the grounds of the house they bought nearly sixty years ago. When the Camerons moved there in 1957 there was little to see and certainly no garden to speak of - just four acres of land that was hugely overgrown. 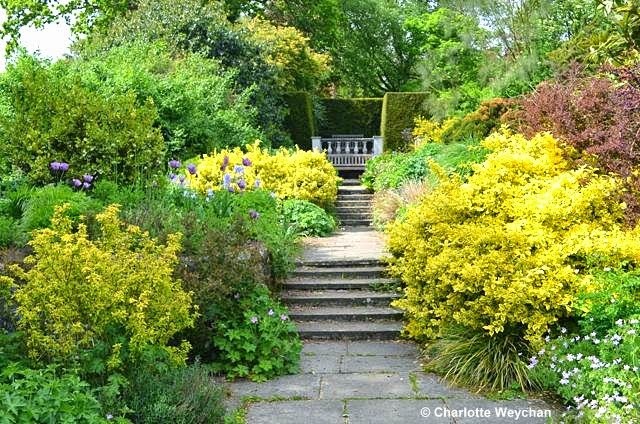 After 50 years of hard work and the acquisition of adjoining land, the result today is a stunning garden providing year-round interest, with some of the finest magnolias and rhododendrons anywhere in England in the spring, and a collection of salvias that attracts visitors from far and wide in the summer. 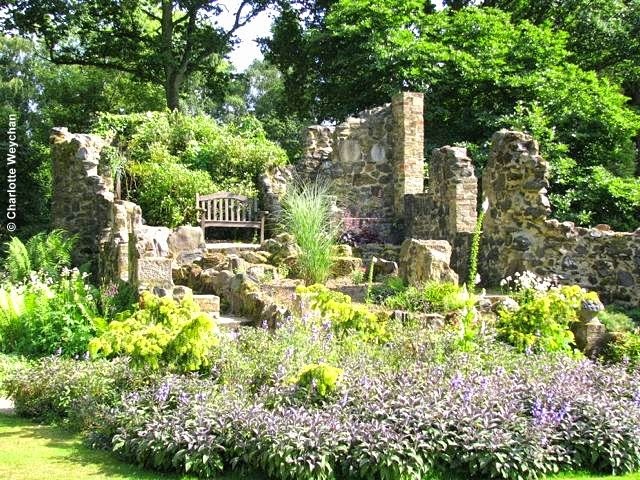 The "ruins" add interesting focal points to a very personal garden and serve to protect some of the tender plants as well as providing unusual places for visitors to sit and reflect on the lovely garden around them. Part of the joy of this garden is its serenity and simplicity. It first opened to the public in July 1967 and remained open just a few days a year for the Gardens Scheme (forerunner of the NGS). It is now open daily from April to October and because of the Cameron’s foresight in setting up a Charitable Trust, it will remain open, despite the death of its creator, Roderick Cameron in November 2009. 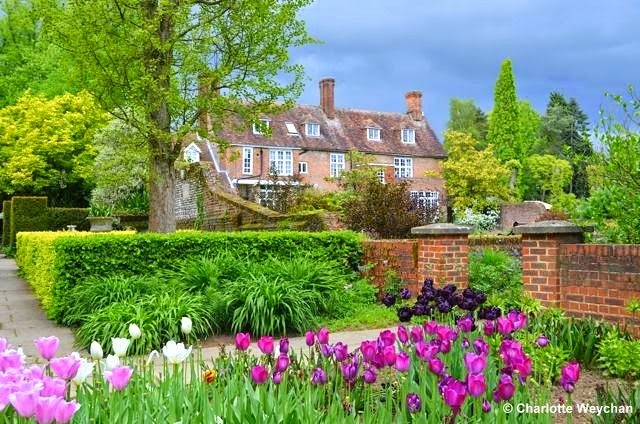 Today Curator, William Dyson, who has been at Great Comp for two decades, manages the property and also runs a very fine nursery where you can buy many of the plants you see growing in the garden. He exhibited at RHS Chelsea 2015 after a break of 11 years and came 3rd overall in the 'Plant of the Year Competition' with his newly-launched salvia 'Love and Wishes'. Great Comp is a very enticing garden, with its many paths curving out of sight and large areas of informal planting. There's an impeccably mown lawn in front of the house, fringed with tall conifers, willows and oaks, and from here different paths lead off into areas of woodland. 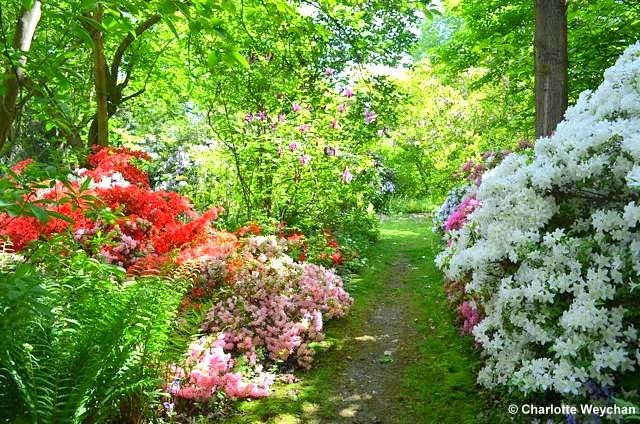 But everywhere you look there are splendid shrubs, underplanted with hostas, lilies and salvias, and you will find more than 3,000 different plants here as well as the heather and rose gardens, and an Italian Garden with its fine collection of Mediterranean plants. 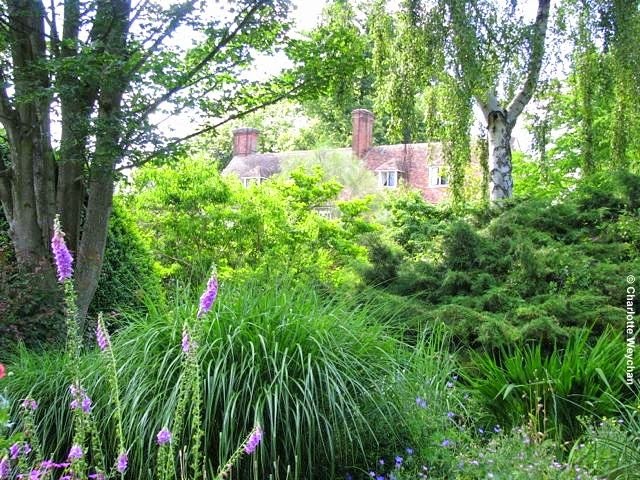 The garden is located near Sevenoaks in Kent and is open daily from 1st April until the end of October, from 11.00-17.00, as is William Dyson's nursery. Admission is £7.00 for adults. Events at Great Comp this year include The Changeling Open Air Theatre productions in July and The Summer Show in August, featuring many guest nurseries and unusual plants for sale. Other notable gardens nearby include Hever Castle and Titsey Place.